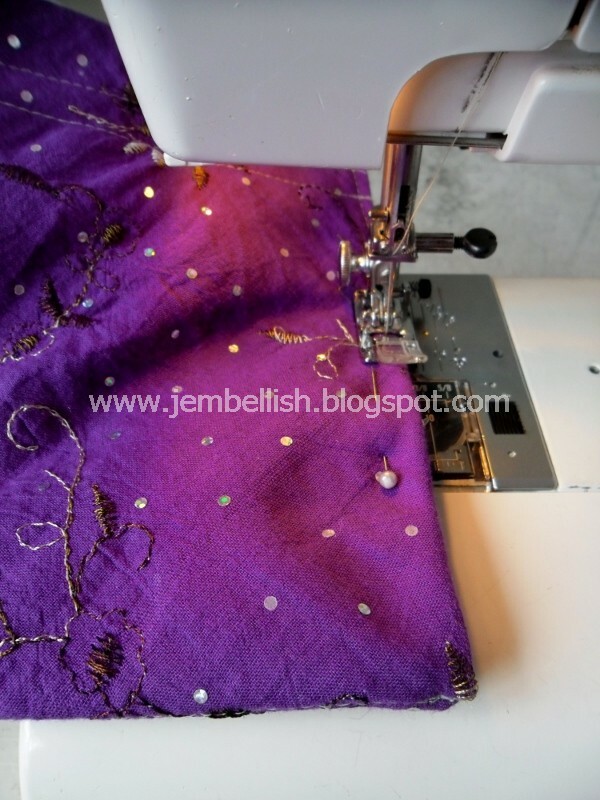 You can make this bag whatever size you want - the bigger the fabric square you start with, the bigger the bag will be. 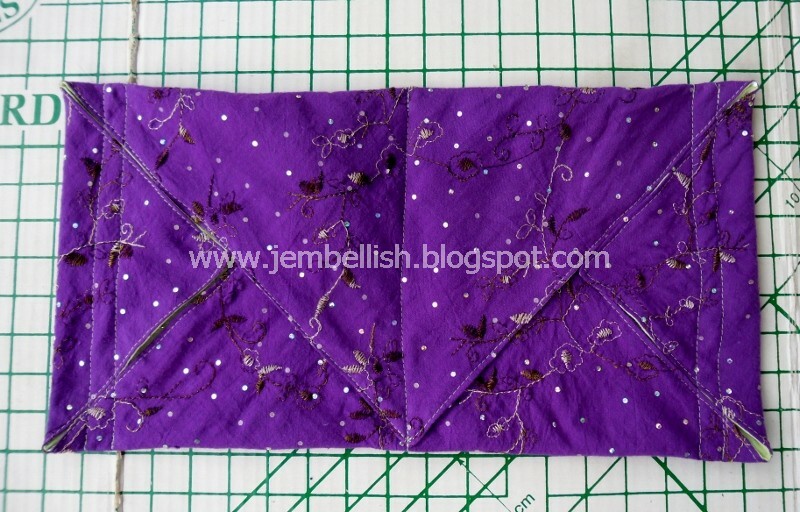 I used 2 fabric squares 41cm (16") for this bag. Stitch the 2 squares right sides together (remembering to leave a small gap to turn out through), clip the corners and turn out; then top stitch around all 4 edges. 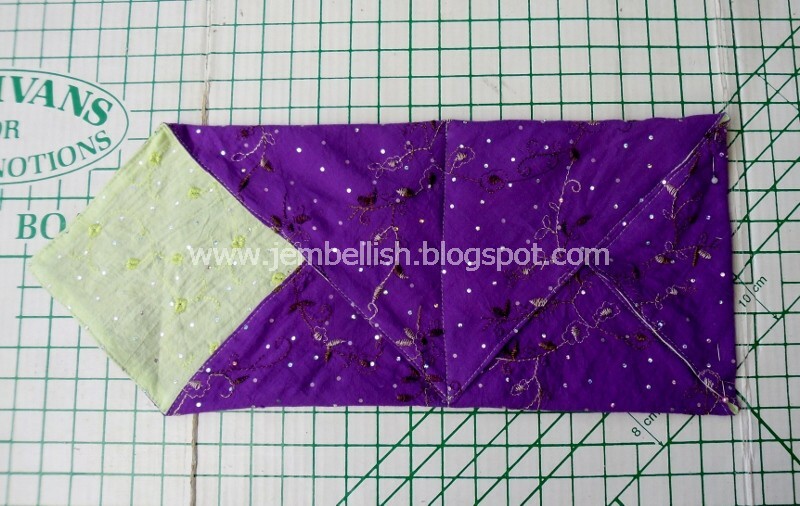 Now you have a nice double sided fabric square to make your bag with. First lay this square flat with what you want to be the OUTSIDE of the bag face down. (I wanted the purple to be the outside here). Now you need to fold the bottom corner up, then the top corner down. Play around with this until it looks nice and even! If you like you can measure to check the sides are even. Then stitch along this line. 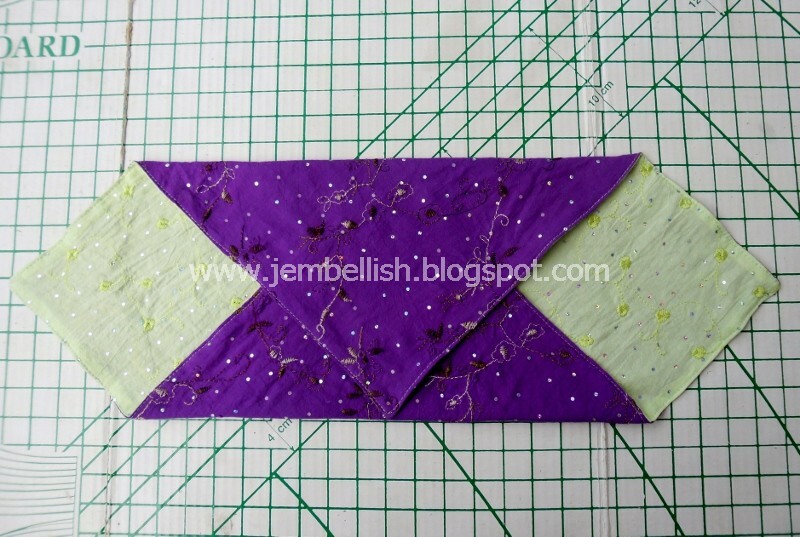 Now run 2 rows of stitching on both sides where you just folded. 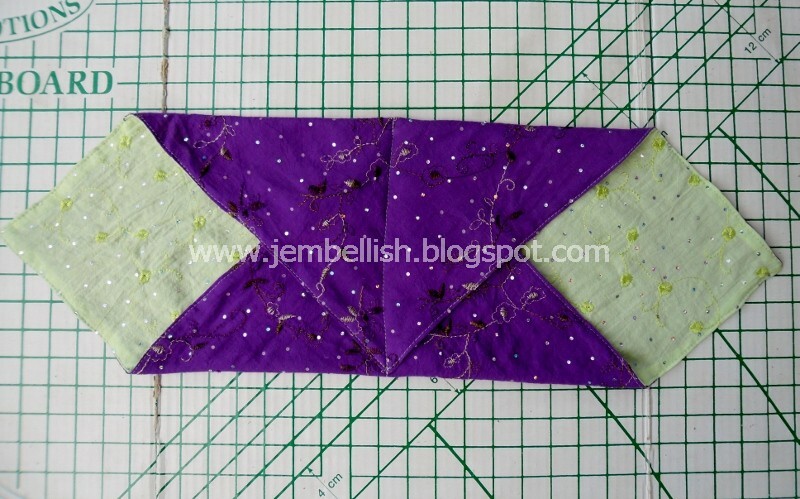 This will form the casing for the drawstring or ribbon. It doesn't matter exactly where you stitch these rows. Just make sure the gap between them is wide enough to thread your ribbon through. 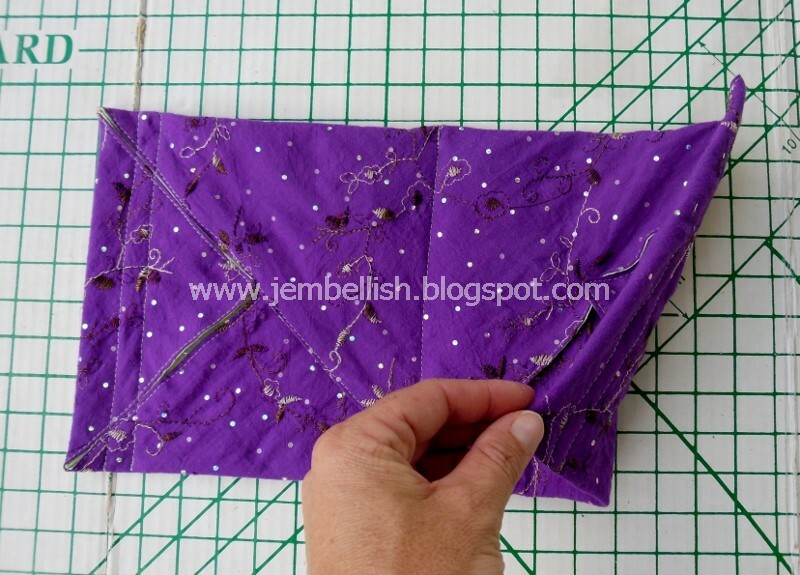 And stitch down both sides close to the edge - you are stitching the sides of the bag here! Now turn the bag out so the folds are on the outside! Now all that remains to do is thread the ribbon or cord through. I used lengths, 45 cm (18") each. 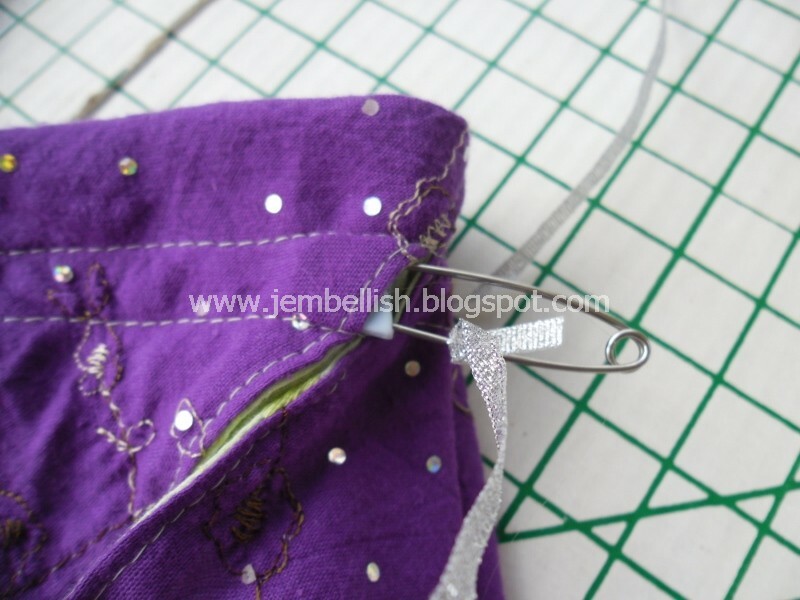 Use a large safety pin to push each piece through the casing you created with your stitching. Thread one piece through both sides from the left, and then the other piece through both sides from the right. Fill it up and use your new pretty bag! 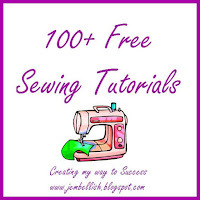 And please do take a look through my other free sewing tutorials. 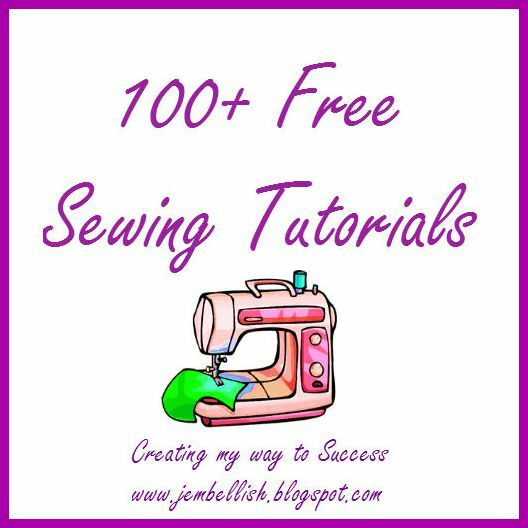 There are over 100 available for all levels of sewing ability. Very smart Jill, I love this. So nice, J! Looks simple enough for a semi-beginner. Jeepers that is clever! Way to go Jill! 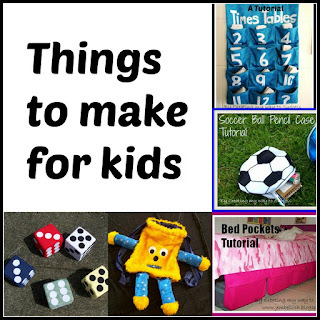 Would love you to share this on my linky party! This is so cool! Cannot wait to give it a try! 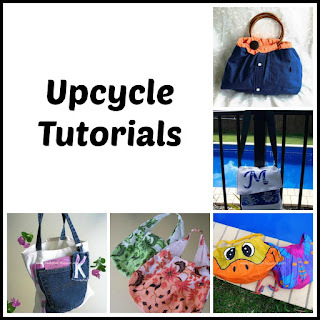 Great upcycle idea as well! This is very sweet - thanks for the tutorial. Jill, this is fantastic. Your tutorial is clear. This bag is functional with "isolation". Love it love it. I must follow to make one. Great tutorial, Jill! Easy to follow and cute bag. very nice tutorial! 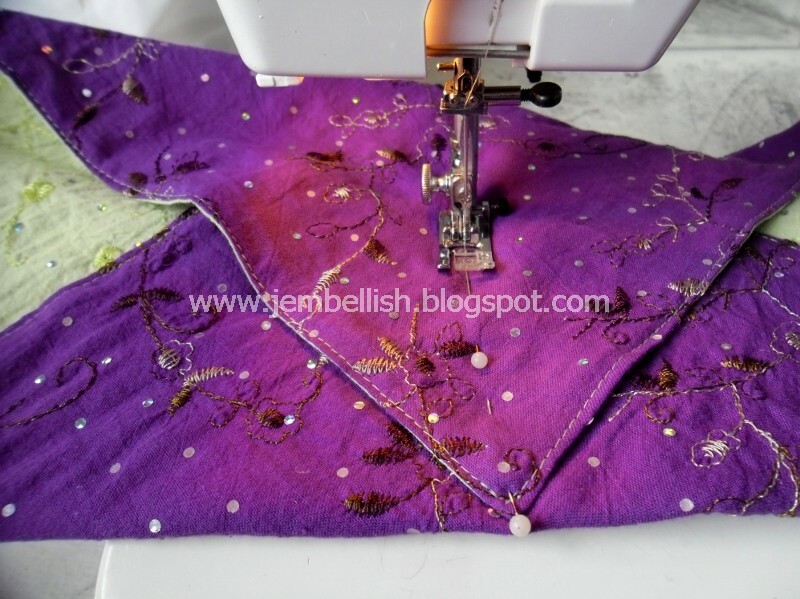 Found you through Fireflies and jellybeans linky party! This is so much fun, my daughter and I both love it! I showed you off tonight at the weekend show off party! great tutorial, i find it a beautful idea. love this, and simple tute too, thanks so much for sharing this. Have to make one. Very cute! I'm thinking I may try this with handkerchiefs! 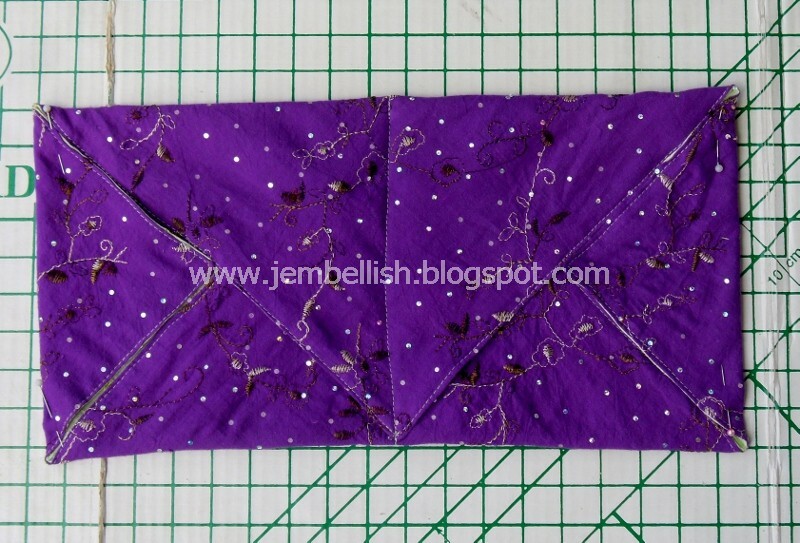 How did it turn out with the handkerchiefs? Would love to see a photo. Very very cool! 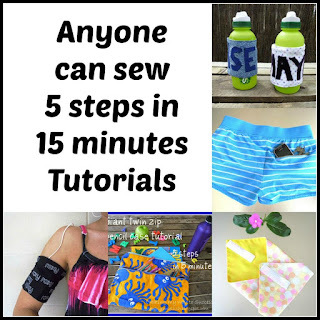 Did you use any interfacing? Would you recommend it? 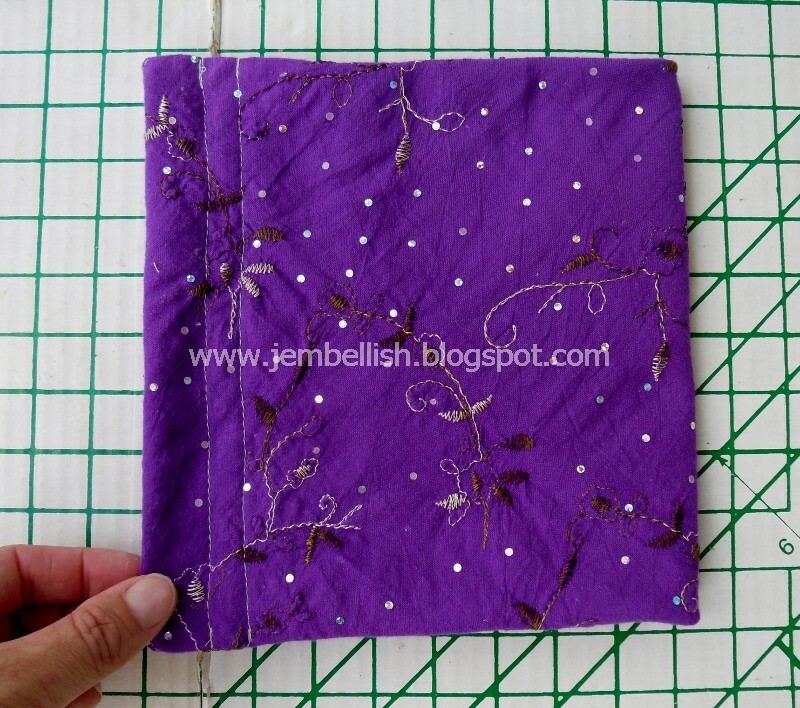 I think I'm going to try making this with some medium-weight interfacing this morning and will report back on how mine turned out. Love that you used those gorgeous dresses. Used the interfacing on the outside of the bag (it was quilter's cotton) and a heavy satin for the inside and it turned out great. 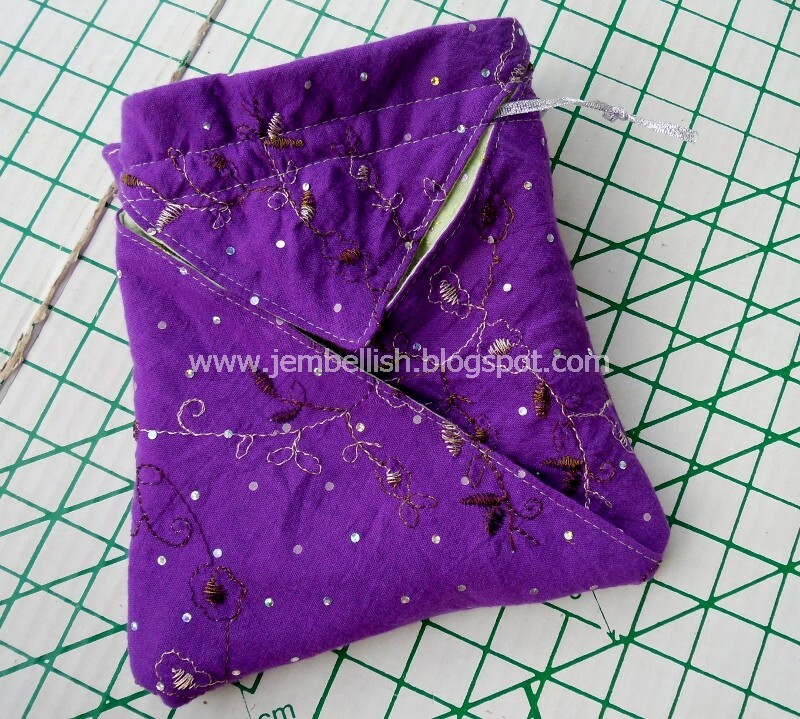 The interfacing was probably not necessary in retrospect, so the next one I make (this time as a gift for a friend I'm having dinner with tonight) I will skip the interfacing. 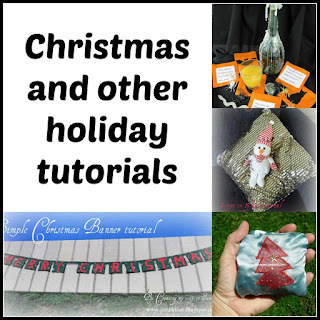 Loved making the project though, and absolutely adored the tutorial! 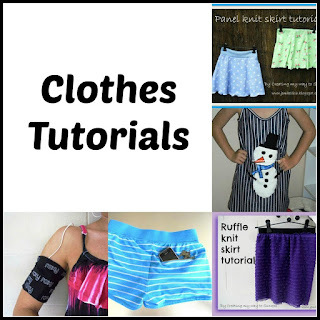 Thanks for letting us know how it went with the interfacing Niki - glad you enjoyed the tutorial! I found that one of the steps is misleading for new sewers. 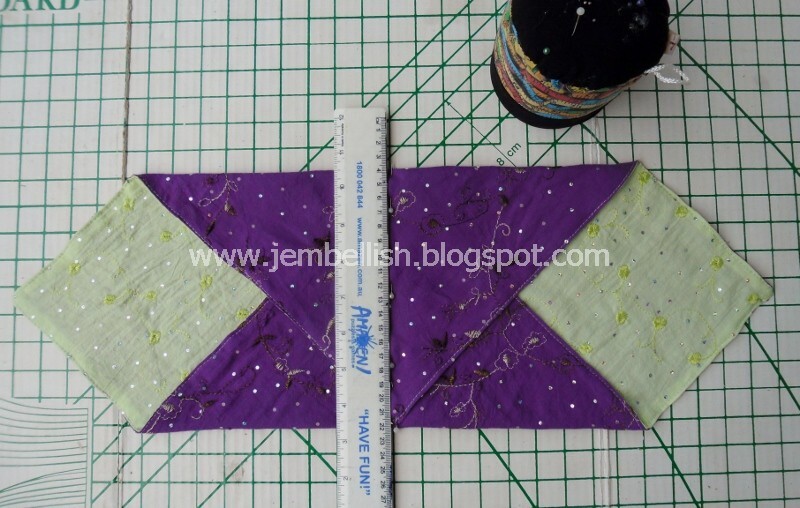 When you have the two square and put them right sides together and sew around them. You need to leave an opening so you can turn it out. I knew this and loved the pattern but new sewers might not. Without an opening you can not turn it out. 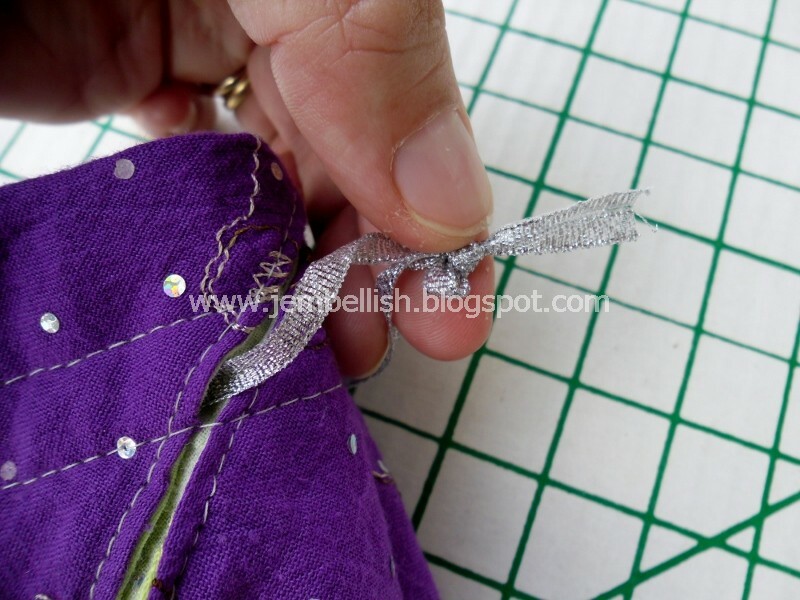 You close that hole up when you sew all around the edge. Does this make sense? Loved the project and plan to make some larger ones next. Have just made one of these (so easy with the picture tutorial) My granddaughter has claimed it, looks as though I'll have to make another or more!! This is a fabulous tutorial and a fabulous design. 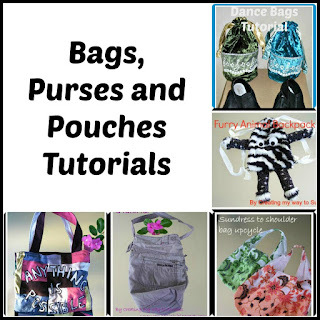 I have made 2 bags - one small as shown and I made a large one as a purse and they are so cute! Thanks so much for the tute! So glad you liked the tute! 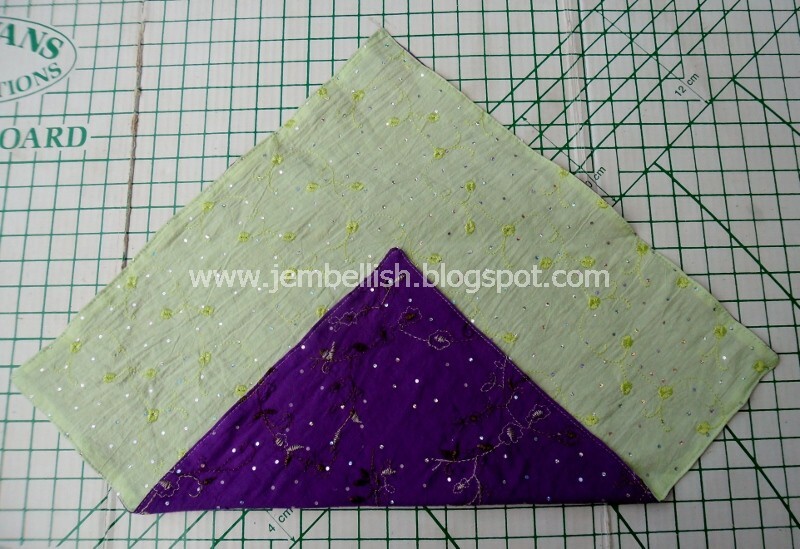 I tried this tutorial on a smaller square of fabric to house a "Cross Stitch Starter Kit" for a friend. I found your instructions to be so easy to follow, made fiddly only by my own misjudgement. I will absolutely be trying to make a larger bag for my art supplies. Thank you so much for sharing! 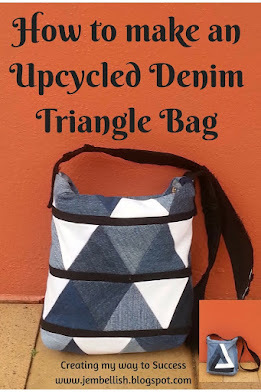 Thanks for the link - what a cute little bag! So glad you could follow the tutorial ok!! I love this bag! Thank you for the pictured tutorial! Will be making a few of these very soon! I needed a quick bag with little mug bag. This was perfect with great instructions. You're so welcome Shannon, glad my tutorial helped! Thank you so much for this tutorial. Our church observes Good Friday as a day of service, and I'm part of the charity sewing team. We made these today, and will fill them with toiletries. They will be given to a local women's shelter. Wonderful pattern! Again - thank you! You're very welcome. So happy to know my tutorial has helped in a great cause! What size square did you start with and what was the finished size? The finished size is just under 20cm (8") tall and slightly narrower than that. Thank you sooooo much. I purchased a small shop made kit for this bag. It came with terrible instructions....your instructions with photos were just what I needed! Thank you for sharing. So glad my tutorial could help you Marie! Aw thanks Amy - glad the tutorial is nice and clear for you! 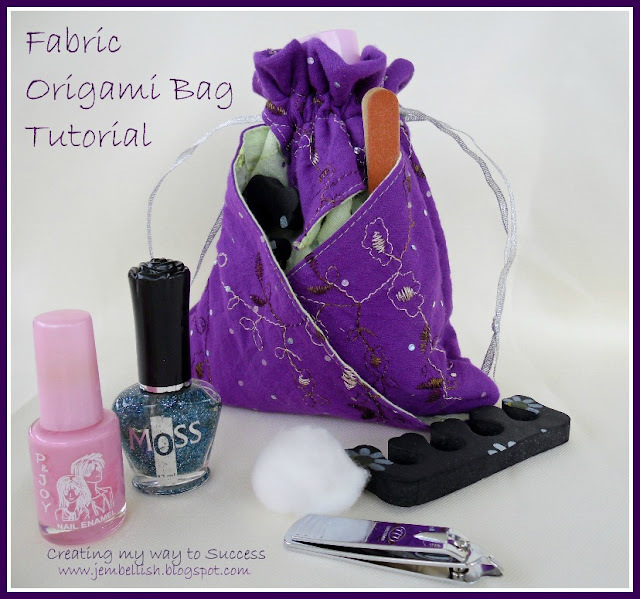 Have fun sewing up some cute origami bags! 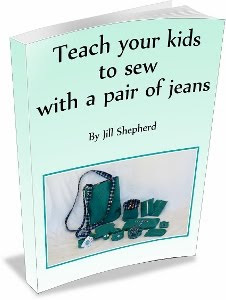 Jill you are so clever! 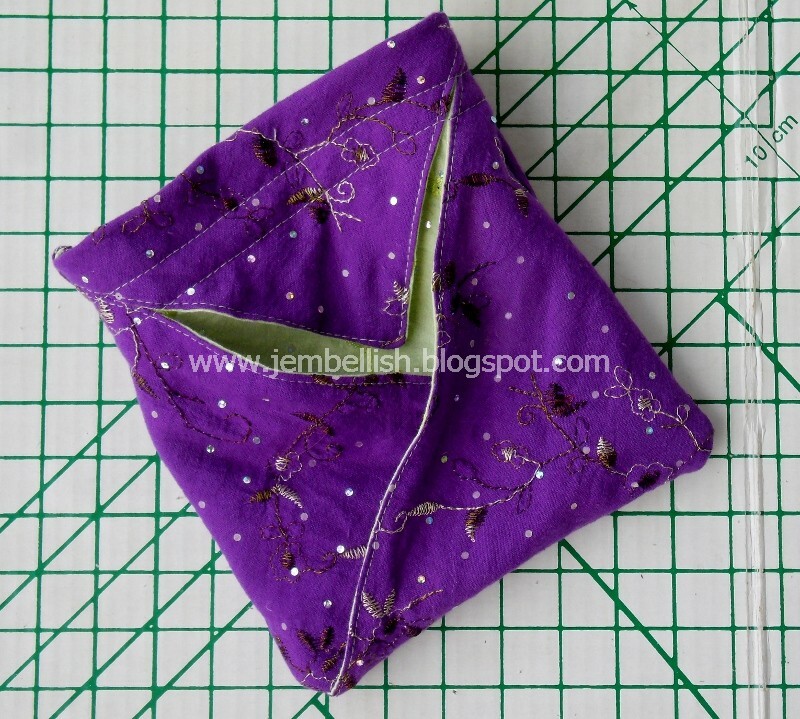 A great upcycle and i love all the little pockets it creates. Thanks so much Fiona. 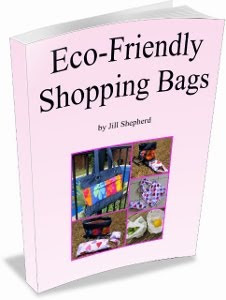 It's one of my favourite bags - and so simple to make too! Just printed out the PDF.....I love using old fabric scraps. Especially velvet.....thank you for this great pattern. Hi Jill. Thank you so much for the tutorial. Made one of these today as a gift for a young lady. 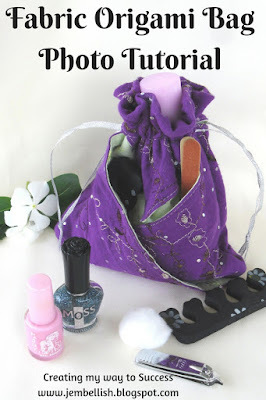 Your tutorial is great and the bag very easy to make. The only question I would have is what size seam did you sew? 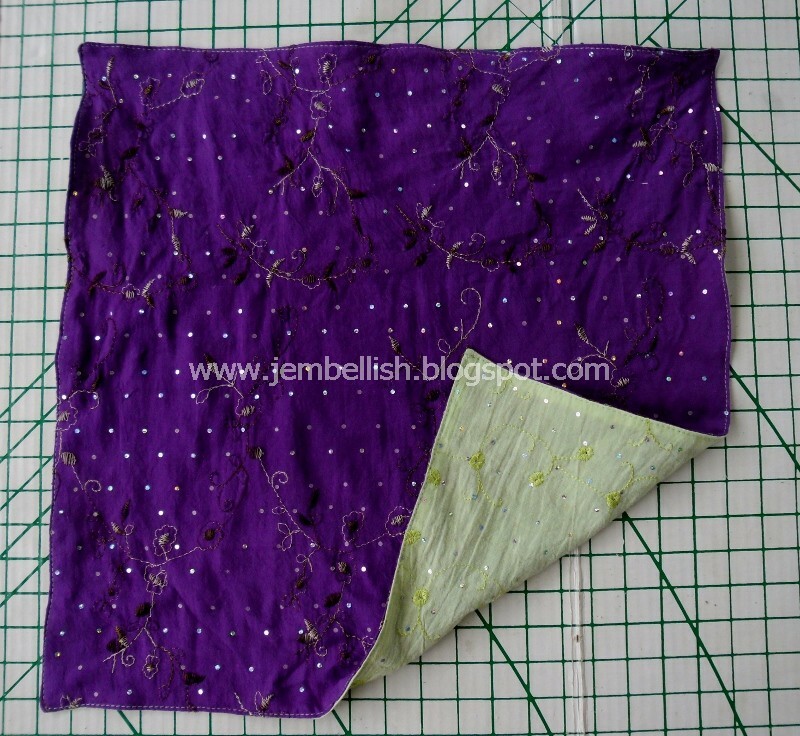 I used a 3/8" seam so I could top sew at a 1/4". 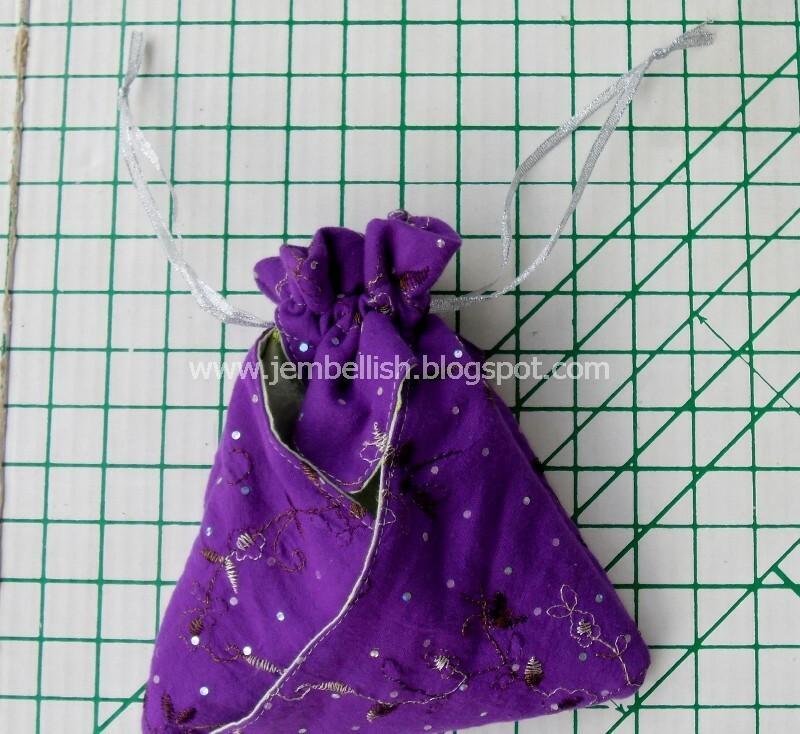 Also for other sewists I used two layers of quilters cotton and found the drawstring didn't gather as nicely as perhaps thinner, softer fabrics will. 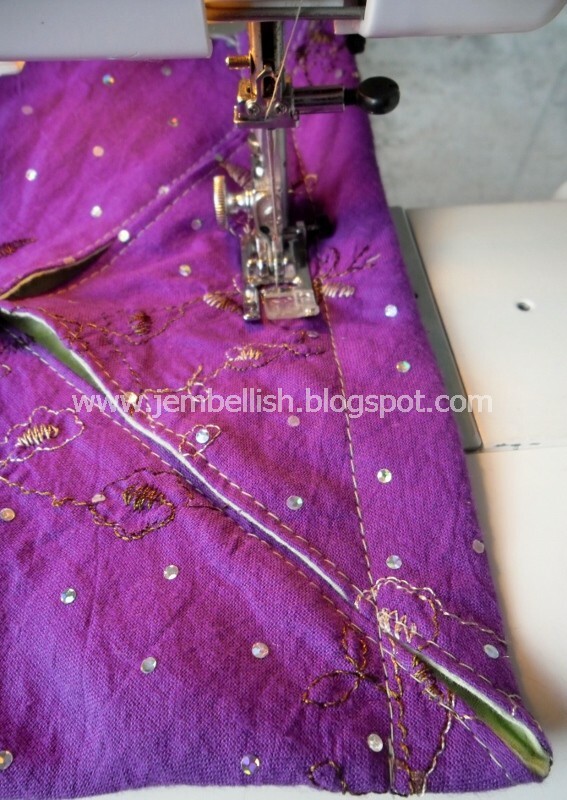 Will definitely be making this bag again in a larger size maybe in lawn or poplin. Maybe even in some silk I have been hoarding for a few years;). Hi Deb. I too use a 3/8" seam, and yes, lighter fabrics do work much better with this bag! Took me a few years to find this but it's so perfect for what I wanted to do! I really appreciated teh .pdf with the photos! THank you! 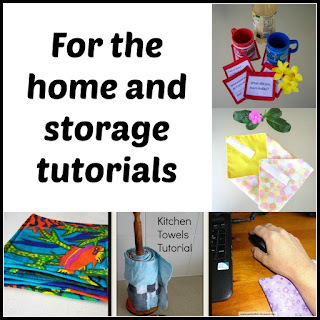 Fabric bag or box for running gear!